Mercer University Press, 9780881462418, 169pp. Lane's poems from Against Information and earlier small press limited editions, broadsides, and little magazines. Out of print, obscure, or simply unavailable except in rare book collections, the selection of poems in Abandoned Quarry show the growth and fullness of spirit of one of the important poets to emerge in the 1980s. admired environmental writers. The collection makes available for the first time under one cover poems from a dozen full collections and chapbooks. The poems range in subject matter through relationships, nature, improvisational pieces, and rants about the strangeness of the modern condition. 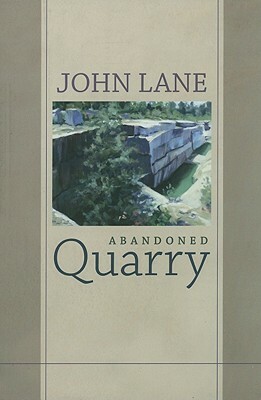 Abandoned Quarry includes nearly all of John Lane's published poetry over thirty years plus a selection of new poems.